The Department of Environmental Quality directed Chemours to begin conducting sampling of 14 groundwater monitoring wells that are at the Chemours facility and not used for public purposes in July 2017. Thirteen of 14 industrial wells at the company’s Fayetteville Works facility had detections of GenX in violation of state groundwater standards. The wells tested are used for environmental monitoring at the facility and are not a source of drinking water. Based on those test results, the state departments of Environmental Quality and Health and Human Services notified local officials and initiated plans to start testing the private wells of residents nearest the facility on Sept. 15. As results came in and were verified, DEQ has directed Chemours to provide well owners with bottled water when GenX is detected above the state’s provisional health goal. 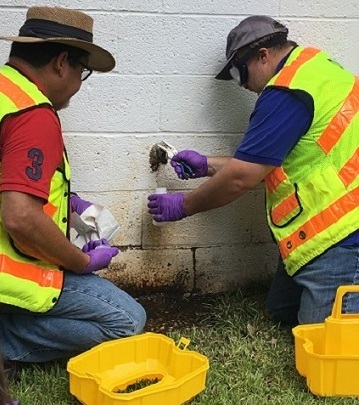 In mid-October, DEQ directed Chemours to expand its sampling plan. It is collecting samples from private wells located one mile from the property boundary in all directions. DEQ will continue to direct Chemours to expand its sampling until the edge of the contamination plume is found. A law firm, representing a resident who is participating in the GAC pilot study, contacted the division Sept. 12 and provided sample results showing elevated levels of PFAS in water from the hot water tap inside a GAC pilot study home (location 71). 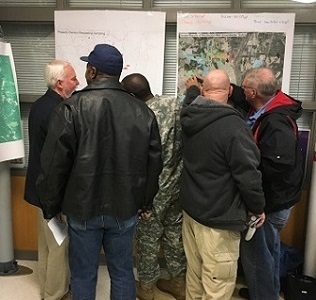 Residents expressed concerns about the results. In response, DEQ sampled indoor water at that residence and four other residences from the GAC pilot study. Below are the results. Note: This study does not meet the minimum sample guidance for a N.C. Department of Health of Human Services’ fish consumption study. Note: The samples were collected prior to periods of active fish feeding and growth, and may not be representative of concentrations that would be found at other times of the year or in other fish species. Note: Routine fish tissue collections typically occur at the end of the fish growing season, which in North Carolina is late summer to early fall when the potential uptake of contaminants would be expected to be at their highest yearly concentration. Bottled water information: If you have been notified that your private well showed concentrations of GenX above the state's provisional heatlh goal for drinking water, please call 910-678-1101 to schedule delivery.